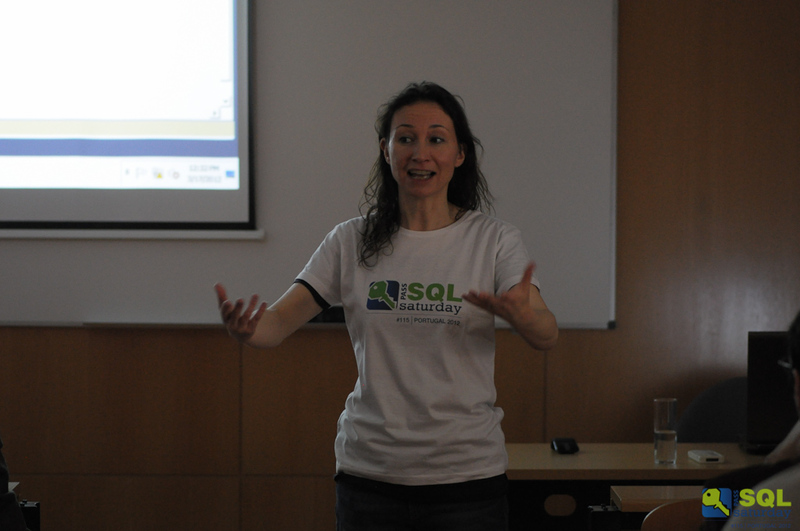 This is the fourth part of the series from my experience with organizing the SQLSaturday #115 Portugal 2012. This post is about the Business Intelligence track. The BI track has brought us a couple of nice surprises, it was definitely the fullest room. The space was prepared for 75 people and by the accounts of the staff members who were monitoring that room, it was always close to the max. As it was listed in one of the previous posts the presenters were: Pedro Perfeito, Rui Quintino, Allan Mitchel, Andro Moreira & André Santana, Jen Stirruo, Alejandro Leguizamo. As with the other tracks, the first person to present at the track was a Portuguese — Pedro Perfeito. 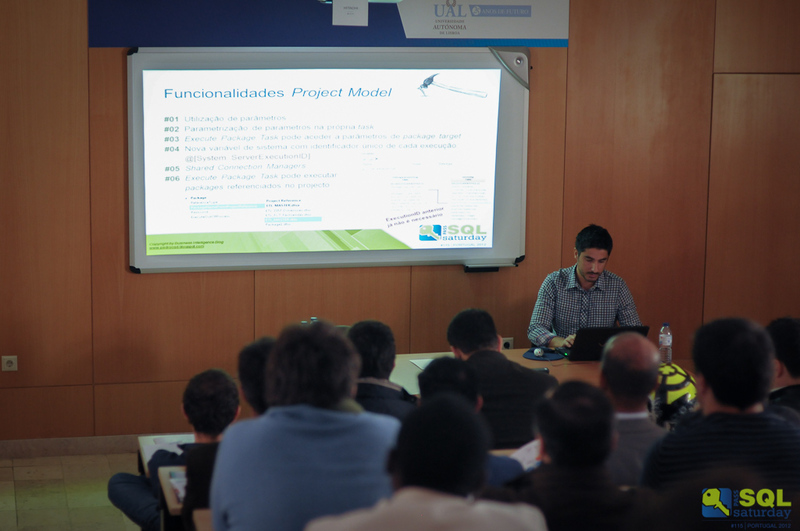 Pedro’s session was about the new additions to the Integration Services in SQL Server 2012. He has never presented for the local SQL Server User Group in all 2 years of its existence, because of being too busy, but we still have decided to give him an opportunity to present before the local crowd. 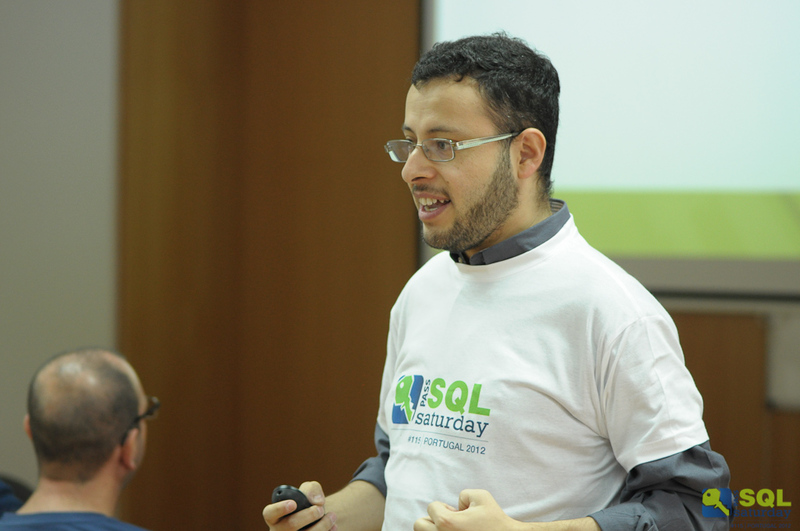 I personally have never had an opportunity to attend his session and at the SQLSaturday#115, unfortunately it was the same situation, because his session was parallel to mine. I have to add thought that by a number of accounts there were a good number of positive reactions on his session. Rui Quintino was the next in line to present on the matters of Agile Business Intelligence with Microsoft BI. I have to admit that a couple of people that I have never met before came to me to say that Rui was a great presenter, that is besides some of the usual suspects :) who naturally gave feedback on his session just sharing the praise. My thought are that generally Agile is a kind of a buzz word of the moment for the Microsoft, they are definitely moving more and more into the Agile world, so the rest of us are naturally should be aware of the advantages and disadvantages of this technique. The next presenter needed no introduction on the international scene – Allan Mitchel is a very well-known specialist, and having him at our event was a great surprise and a very big pleasure. 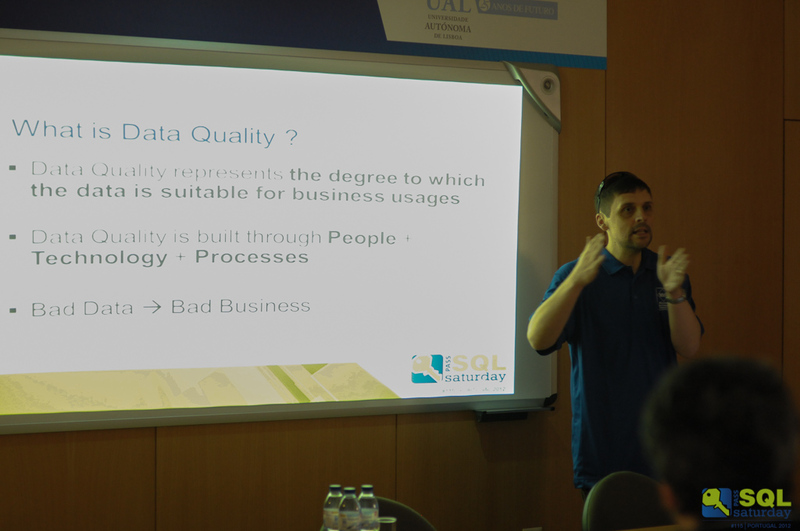 His session on the DQS – Data Quality Services in SQL Server 2012 will be staying in the memories of a lot of attendees. For me, Data Quality is one of the central issues of the business. Seeing so many developers ignoring the quality of data until the moment when the damage is already done, can be such a pain! I hope that a lot of attendees have taken a couple of lessons from Allan’s session and that in the near future, a lot of the database project will start getting better. Andro Moreira & André Santana were the presenters who carried on with the BI track right after the lunch, and once again the room was packed. There is a big interest in the new Tabular mode of the Analysis Services all around the BI community, and I hope that this session has brought some enlightenment on this topic. I am definitely very interested in hearing the feedback on this session, because this was one of the very rare cases where no feedback has reached my ears even 2 weeks after the event.